Priya Ahlawat is a Contemporary Impressionist, born in India and based in Pittsburgh, Pennsylvania. She works in oils and embraces impressionism to depict profound moments of beauty often hidden within the particulars of daily life. Priya has derived her style from the lifelong study of past masters, the influence of contemporary painters she admires and her studies with artists and mentors Kim English, Elio Camacho, Ron Donoughe and Jennifer McChristian. Priya's professional affiliations include American Women Artists (Associate Member with Distinction), National Oil and Acrylic Painters' Society, Oil Painters of America, American Impressionist Society, and Associated Artists of Pittsburgh (2016). Pati Beachley (1971) is a sculptor living in Pittsburgh. Originally from Baltimore, she moved to Pittsburgh to teach at Seton Hill University in Greensburg, PA, where she serves as Chair of the Department Art & Design and Associate Professor of Art. She exhibits her work actively in Pennsylvania, Ohio, New York, Washington, DC, Virginia, Maryland, and Tennessee. She has had multiple solo shows, national shows, curated, and juried exhibitions. Her studio and foundry is in Pittsburgh where she casts all her own metalwork. She attended University of Maryland College Park for her undergraduate degree, studying with Anne Truitt and John Ruppert. She received her Master of Fine Arts degree in Sculpture from Virginia Commonwealth University in Richmond studying with Liz King, Myron Helfgott, Howard Risatti, Kendall Buster, and Lester Van Winkle. She contributes volunteer service to the larger arts community in Pittsburgh by serving on multiple boards of arts organizations. She is a member of the Pittsburgh Society of Sculptors and the Associated Artists of Pittsburgh. Ryder Henry became a member of the Associated Artists of Pittsburgh in 2015. Henry attended the Rhode Island School of Design, and his work shows his varied background from growing up around the world. 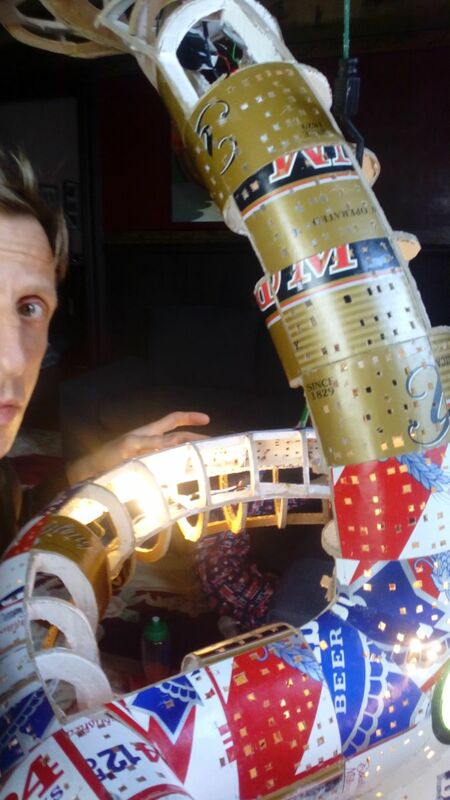 He is a sculptor and painter, most known for his work, 4 Lydia, which is a futuristic model city made from recycled materials. Henry creates models of cities that replicate real places in his neighborhood (true to actual scale), combining fantasy sci-fi motifs like space ships and futuristic “Jetson-style” buildings with contemporary architecture. Eowyn Mays is an independent curator based in Washington, D.C. Mays earned a B.A. in art history from Tulane University and an M.A. in art history from the University of Maryland where she specialized in American and contemporary art. Her scholarly interests center on visual representations of marginalized groups in the United States during the long twentieth century. In particular, her current research examines popular imagery of Asians and Asian Americans in the context of U.S. immigration policies and neo-colonial strategies during and immediately following the Philippine-American War. Mays currently works at the National Gallery of Art in Washington, D.C., and she previously held positions at the Smithsonian American Art Museum, the National Portrait Gallery, and the Smithsonian Institution Traveling Exhibition Service. Ramon Riley, a native of Braddock, Pennsylvania, earned a Master of Art Degree at Indiana University of Pennsylvania in 2013, with a concentration in painting. While Riley’s work draws from realistic study, he utilizes his poured paint foundations to integrate the representational with abstract expression. In 2015, Riley was the featured artist on WQED’s Pittsburgh 360, which spotlighted his solo exhibition, BRADDOCK Coming Home. Riley’s BRIDGES works were exhibited in Dallas, Texas in January 2016. A career art teacher at Pine-Richland High School, Riley’s belief in a strong art education in public schools stems from his own testimonial. With his 2014 “Where I Am From” project, Riley connected his Pine-Richland students and students from his alma mater, Woodland Hills High School, in a communal studio environment to create art works, which he showcased in his exhibition. Riley's latest works, which incorporate laser cut collage, expand his process fusing technology with his work as a painter. These works were featured in his 2017 solo exhibition LOVENEVERENDING. Christine Wheeler grew up adventuring throughout the bohemian Bay Area before moving to culture-soaked Los Angeles to study Art History at UCLA. Before moving to Pittsburgh, Christine enjoyed time working at the Hammer Museum, launching VIP Programs for an international art fair and co-curating exhibitions featuring works from Old Masters to contemporary artists. After moving to Pittsburgh six years ago she started Treading Art to continue her work as a Cultural Curator focusing on producing distinguished art experiences. Germaine Williams is the chief executive officer of the Pittsburgh Filmmakers/Pittsburgh Center for the Arts. A native of Chicago, Mr. Williams earned his B.A. in history from Morehouse College in Atlanta and his M.A. in nonprofit arts management, M.A. in history, and a Ph.D. in social and cultural history from Carnegie Mellon University. Before coming to Pittsburgh, Williams held positions at the Rockefeller Foundation, The Newark Museum, The Museum of Modern Art in New York City, and The DuSable Museum of African American History. Prior to his position at PF/PCA, Williams was the project director for The Creativity Project at the STUDIO for Creative Inquiry at CMU where he developed programs of support for individual artists and was the senior program officer for arts and culture at The Pittsburgh Foundation.